Does what it says on the blurb! Good strong fixings with decent plastic heads. Easy to use and secure fixing. You do need to secure the sheets with a LOT of nails but it's worth it to stop them shifting around. Good round plastic headed load spreading nails which don't cut into the Onduline sheet. Sharp point which can be hand pushed through the corrugations for accurate positioning. Box was damaged so all out of the box. Very few failures. Easy to hammer them in. These are excellent, highly durable and solid and do not buckle. 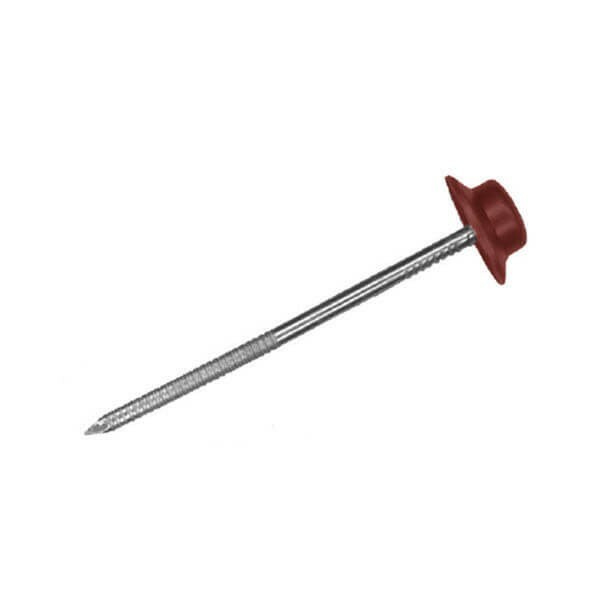 The built in moulded cap means fixings are less likely to rust. They are as a pack of 400 very good value.